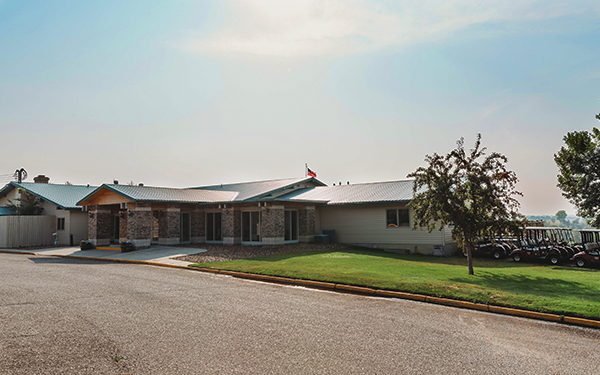 Apple Creek Country Club was established in 1948 and is located 3.8 miles east of Bismarck on Highway 10 in a setting of native trees with Apple Creek flowing throughout the property. The Club is dedicated to offering an enjoyable and recreational golfing and social experience to its members and guests. Our goal is to introduce an exciting atmosphere to the club, and promote a member/family friendly atmosphere. Whether you are a scratch golfer or just taking up the game, you are ensured of having a great time on one of the most enjoyable courses in the state. 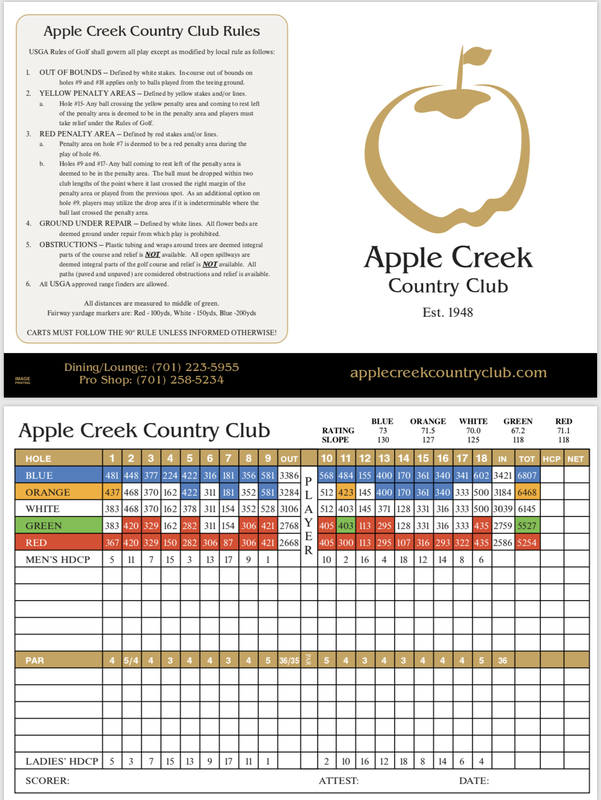 In joining Apple Creek Country Club, you will enjoy rounds of golf in less than four hours, tee times are always available. Whether it’s a quick nine in the morning, at lunch or eighteen after work, there is always time to play a round. The only private club in the Bismarck-Mandan area. At Apple Creek Country Club we believe golf’s great traditions of camaraderie and relaxing lifestyle extend far beyond the fairways into everything we do. 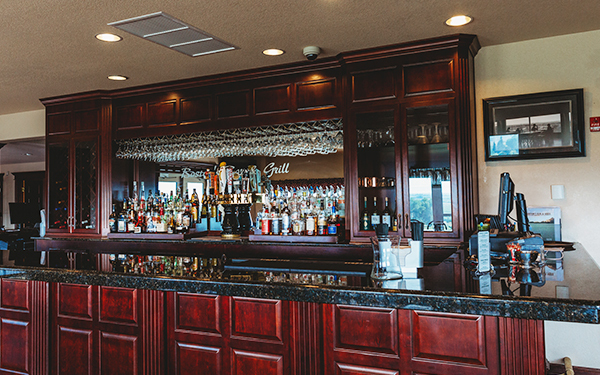 After spending a great day on the golf course or having a fun day in the swimming pool, stop by the renovated Boston’s Bar and Grill for a drink or a spectacular meal. 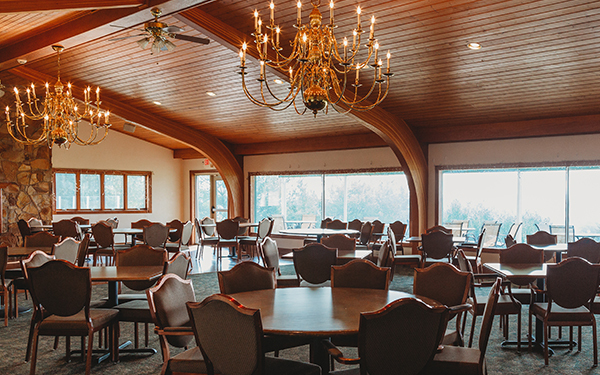 We invite you to Apple Creek Country Club to play a round of golf, relax in the clubhouse or on the new deck area, and enjoy the picturesque view as you overlook the golf course. Members enjoy access to our beautiful pool area, which overlooks the course. Stunning views accompany a relaxing and exclusive poolside area. The pool itself has an easy entrance at one end and gets deeper on the other end, allowing for a variety of aquatic experiences. Spend time soaking up the sun, cooling off in the pool, enjoying a drink and relishing some quiet time.